The Bismarck was the greatest battleship ever to prowl the Atlantic. With her eight 15 inch guns and 30 knots top speed she represented a massive threat to the merchant convoys on which Britain relied for survival. She had to be destroyed. Fought in the spring of 1941, the Bismarck campaign was a classic of naval warfare. The campaign had all the elements of traditional naval warfare, with battleships, battlecruisers, cruisers, destroyers and others steaming at speed across the vast ocean to intercept the enemy. 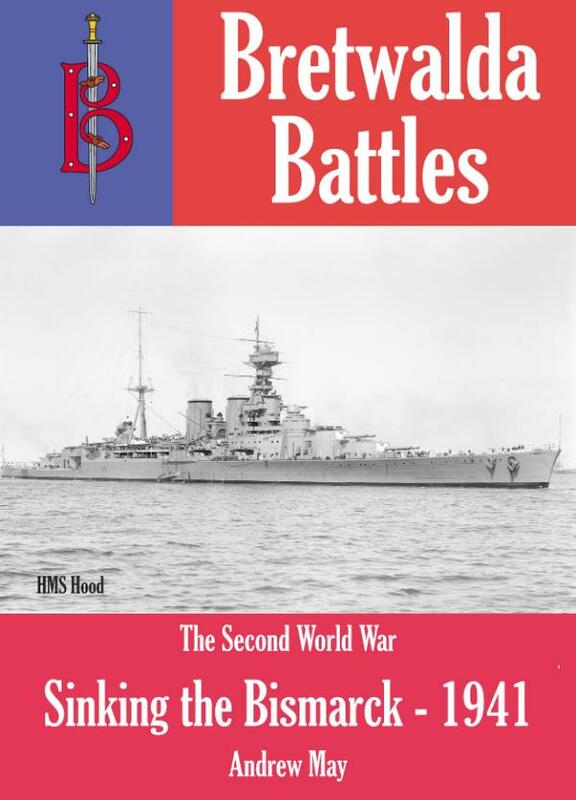 And the Battle of the Denmark Strait saw the Bismarck sink the pride of the British navy - HMS Hood - in spectacular fashion. The campaign also saw new elements of naval warfare appear as aircraft and radio intercepts played a part in bringing the Bismarck to battle. The campaign was one of the last of the old style naval engagements, and one of the first of the new. In this book Andrew May traces the reasons why the Bismarck was designed and built, and why she went to sea when she did. He analyses the forces deployed by both sides and looks in detail at the campaign as it unfolded. Finally he looks at the impacts, both in the short term and longer term. A classic retelling of a classic naval campaign. Andrew May is a former defence scientist with an MA from Cambridge University and a PhD from Manchester University. His thirty year career spanned academia, the civil service and the defence industry. He has worked on advanced technology research in Farnborough, strategic planning in Whitehall and operational analysis for a large defence company. He is now based in the South-West of England where he works as a freelance writer and blogger.